More than 613,000 Social Security recipients have retired overseas, usually after working for decades in the United States. Their distribution is a reflection of former – not current – migration patterns as we see in this, another of our notes on emigration from the United States. (View an earlier posting about some U.S. students getting part of their education abroad). It is assumed that a large majority of these Social Security recipients had been born in the home country, worked in the United States for at least ten years (to get enough credits to draw the checks), and then returned to the homeland when they retired. There are also, presumably smaller numbers of adventurous native-born U.S. citizens who have decided to retire to warm locations overseas, such as in Mexico or Costa Rica. Globally, less than one Social Security recipient in 100 (0.9%) gets their checks overseas; most of these are retired workers, but there are also spouses and survivors of those workers. 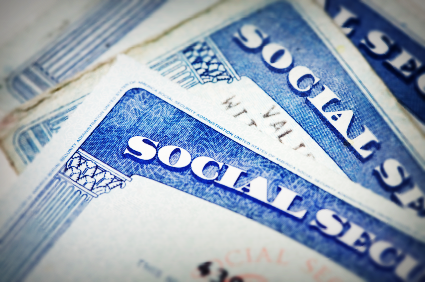 Routinely those receiving Social Security checks are getting much smaller ones than the typical U.S. recipient, with all of this data coming from the 2015 Annual Statistical Supplement of the Social Security Administration. Not everyone who is eligible for Social Security checks is eligible to receive them overseas. Generally U.S. citizens are likely to be eligible, and non-citizens are less likely to be eligible, with some variations noted nation-by-nation. (No one is eligible to receive checks in North Korea and Cuba, for example, and there are special rules for many of the ex-USSR states, such as Ukraine.) The specifics, as you might expect, are complex. Canada is the nation with the most overseas benefits recipients, 109,700, including, one assumes, substantial numbers of retired U.S. citizens and Canadians who commuted to work over the U.S. border every day (such as from Windsor to Detroit.) Next are, in order, Japan with 64,500, Mexico with 54,000, and Germany with 40,300. The total dollar outflow generated by these retirement decisions, as of December 2014, was about $4.7 billion a year. At that time, the average monthly check received by a Social Security beneficiary was $1,112; and that by an overseas beneficiary, $643. Clearly, on average, the population that chose to receive benefits overseas was much less successful in the American economy than the average stay-at-home recipient. So we are sending $4.7 billion a year overseas to pay people who could be receiving those funds in the United States. Should we, as a matter of policy, seek to expand or contract that total? The obvious initial reaction – and certainly that of the government – is: let’s not send any more money overseas than we absolutely have to. The economy. Clearly it would be useful to have all or some of that $4.7 billion being spent and re-spent in the U.S. economy, the more people retiring overseas with their SSA checks, the more money that is siphoned out of our economy. The government’s finances. It would be helpful if some of the $4.7 billion stayed here and generated some tax dollars for the government, but all the other arguments in the fiscal realm run the other way. The population receiving these funds is not helping anyone’s economy except when they spend money. They are, and this sounds a bit hard-hearted, ex-workers and their dependents and were they to stay in the United States they would be eligible for a wide variety of expensive government programs, such as Medicare, Medicaid, SSI, TANF, cash assistance, Food Stamps, and the like. The only thing we pay these former workers, when overseas, are the monthly Social Security checks. A dependent and aging population, such as those now in other countries, if they stayed in the United States, would undoubtedly cost much more than $643 a month each. Population considerations. People, in general, generate costs; we wear down the infrastructure, require services, and create pollution (though poor people probably do less of that than the rich). Our country would be better off with fewer of these costs. I feel that the balance of these considerations suggests that we should make it much easier for those wanting to do so, primarily green card holders, to retire overseas, except to exceptional places like North Korea. We might even sweeten the deal by offering — but just once – a free, one-way airfare to the nation of choice for those contemplating retiring there. In the long run that would be a real money-saver for the federal government. Maybe we could even get the international airlines to lobby the Congress in this direction! Note: regional totals also include those from unlisted nations with less than 10,000 recipients.